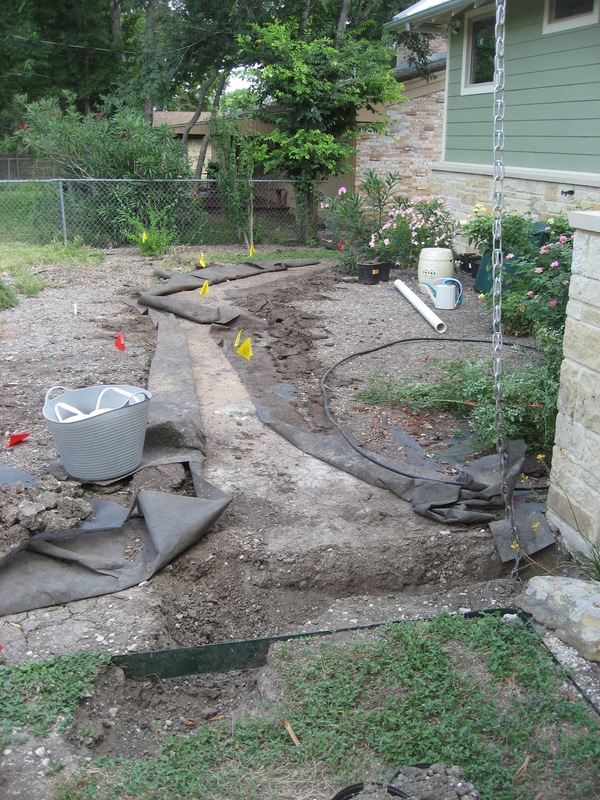 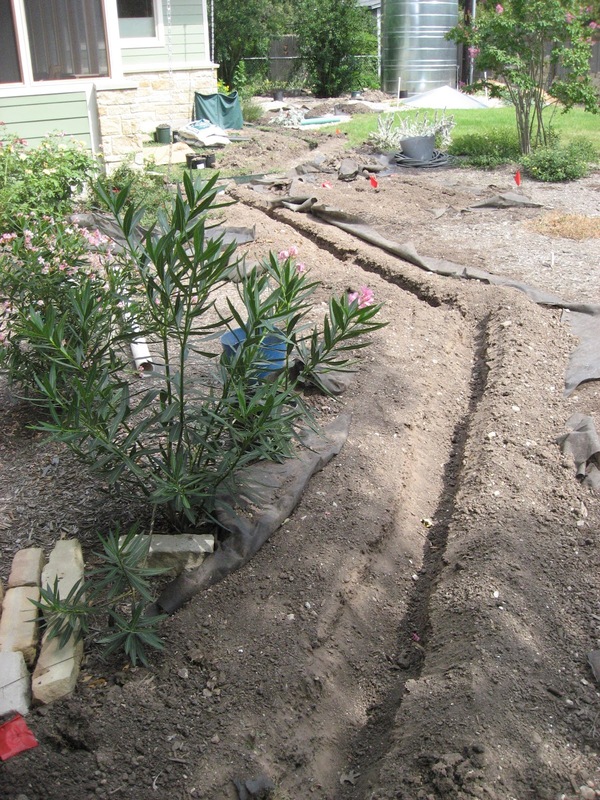 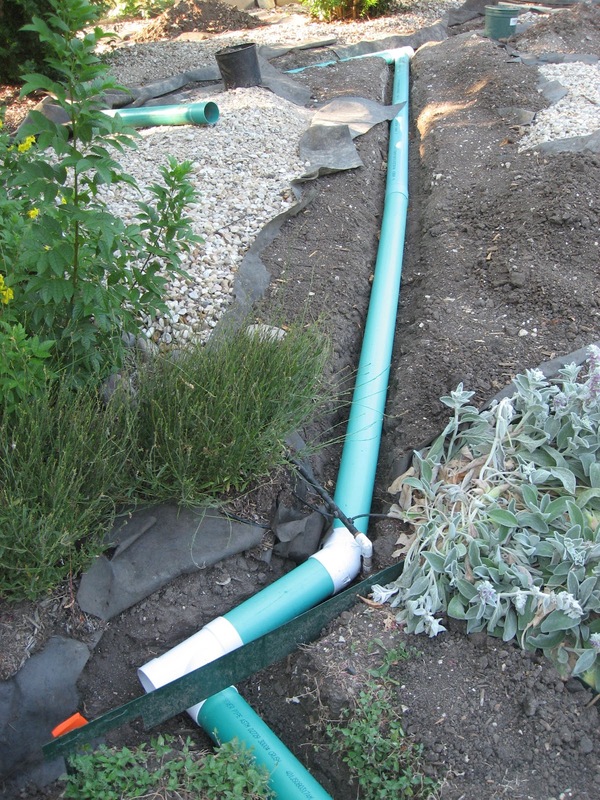 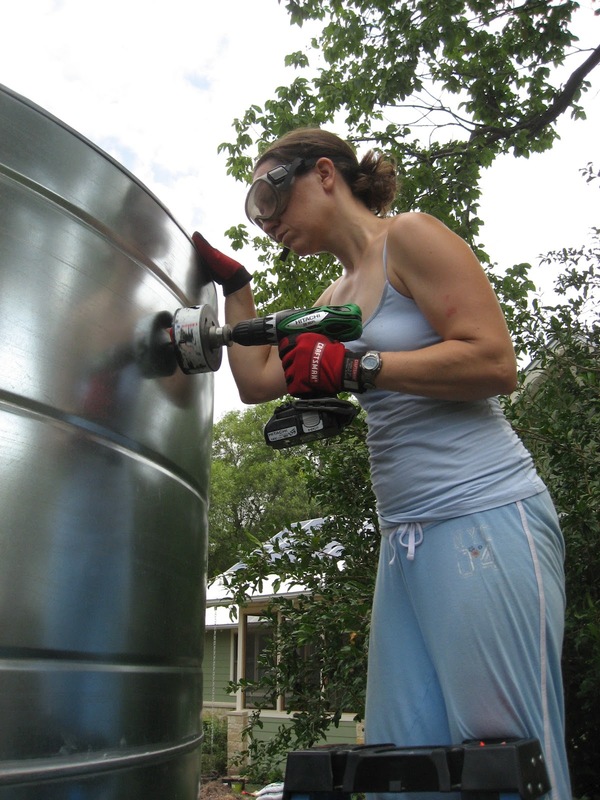 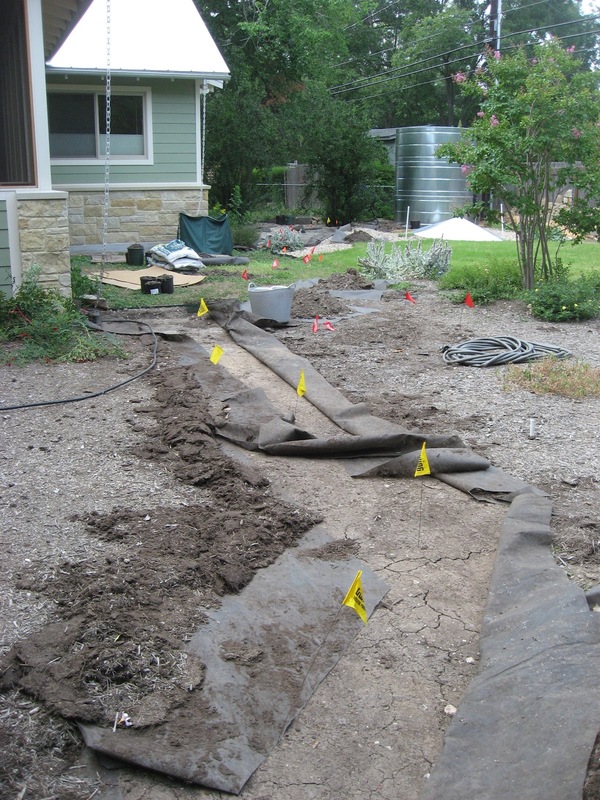 With rain (possibly) in the forecast for the next week, it seems like time for another rainwater harvesting update. Spoiler alert: no matter how much of that rain materializes, none of it will end up in the cistern. As you can see from this picture of the drilling in action (or maybe you can't...but trust me), the bulkhead doesn't quite fit in the top segment of the tank, so we had to drill just below it. 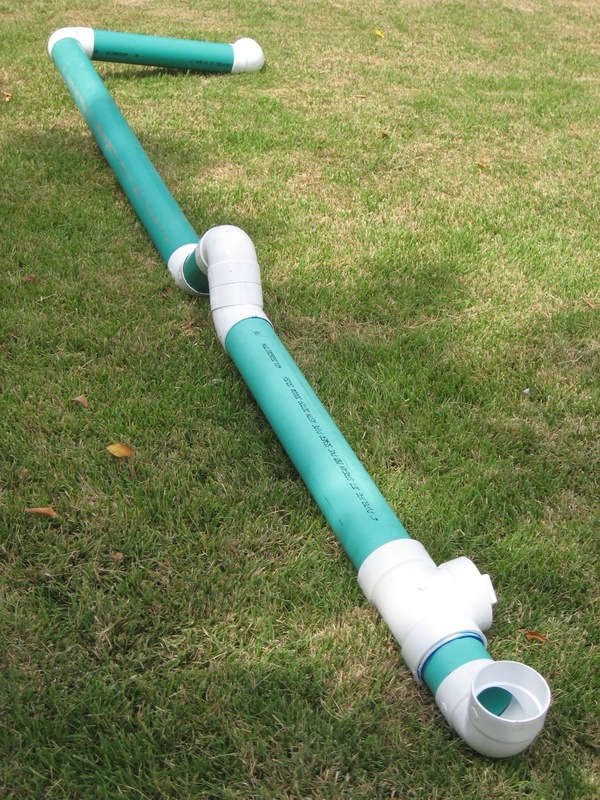 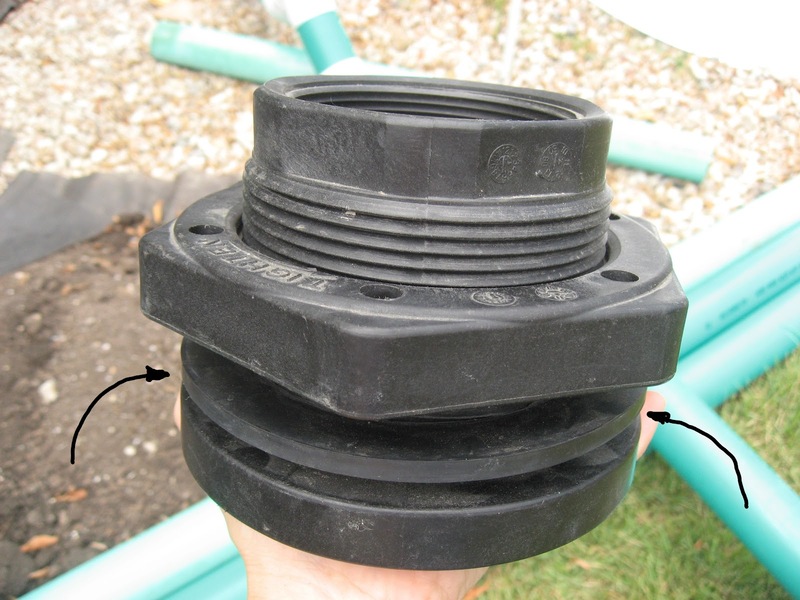 So that we don't lose the top few inches of rainwater capacity, we will add 90-degree connectors (at both the inlet and the overflow bulkheads) to effectively extend them up those last few inches.